Just about to depart, the latest order bound for the docks comprising several units of Terex TA30 Frame Steer Dumper and a Caterpillar Wheeled Loader. 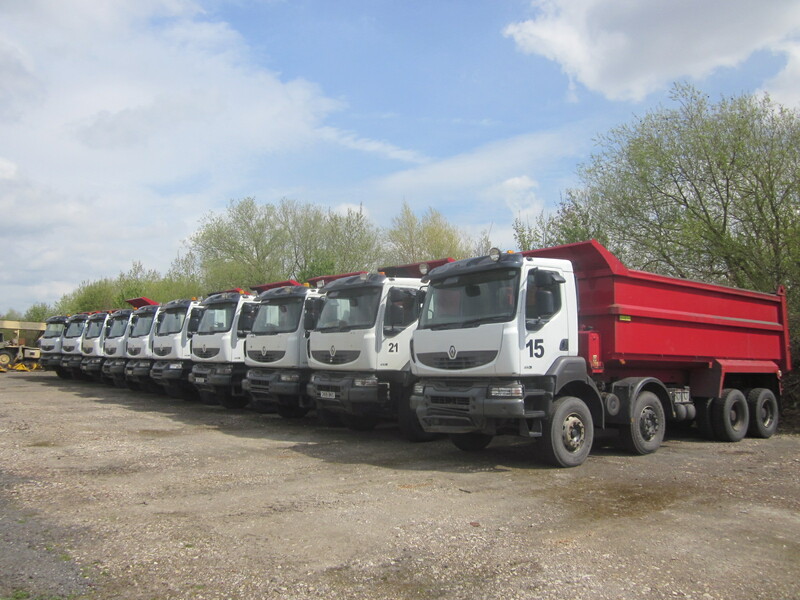 Choice of 8 Renault Kerax 8×4 RHD tipper trucks with charlton high side bodies. coupled with the wider axles makes this chassis cab suited to the rough terrain of Africa.